You don’t have to live within the Nashua city limits to experience our wonderful spa treatments at Inner Beauty Concepts. Guests from nearby Hudson regularly stop by for our wide variety of spa treatments. 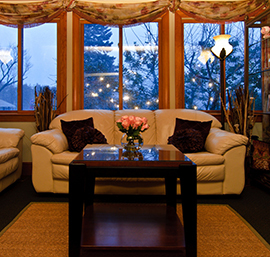 Just minutes away, our Hudson guests deserve to pamper themselves just as much as our Nashua friends. Are you looking for skin care treatments to enhance your appearance? Our day spa features a variety of customized facial treatments, including facials, dermal peels, Lamprobe® and microdermabrasion. We use only the highest-quality skin care products at our spa, including Bioelements®, and we are the number one distributor for this product line on the East coast. You could even choose to add an eyelash or eyebrow tinting session to complete your skin care experience. If you seek smoother, silkier skin, try one of our waxing services, which includes facial waxing as well as body waxing and Brazilian waxing. Both men and women can receive our waxing services, which offer longer lasting results than shaving. For the ultimate skin-smoothing body treatment, book an appointment for our body polish services, which use sea salts to slough away dead skin. In addition to sea salts, warm scented oils are used in body polish treatments, providing excellent moisturization to your parched skin. Finishing with a thorough application of warm lotion, your skin will glow from head to toe. Famous for our amazing therapeutic massage treatments, our spa offers a variety of different massage services to suit the needs of our guests. Whether you are looking for a pregnancy massage, a deep tissue massage, a Swedish massage, or a hot stone massage, our licensed massage therapists will help you escape the stress of your day. If you love a good foot massage, you might want to book one of our reflexology sessions to take a load off your feet. 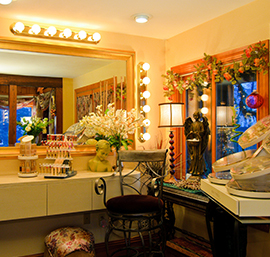 We love our neighbors in Hudson, so contact Inner Beauty Concepts today to book your pampering spa treatment today.